A cruise from Australia is the best way to discover the breathtaking coastlines, exciting cities, unique landscapes and vibrant cultures of the Land Down Under. Blessed with an incomparable natural beauty, great weather, the world’s best beaches and a contagiously relaxed atmosphere, Australia mesmerizes locals and international tourists alike. Begin your Australian cruise from Brisbane, Sydney, Melbourne or Perth and sail locally or to exotic destinations in Asia like Singapore, Thailand, Vietnam or Hong Kong; tropical South Pacific destinations like Fiji, Vanuatu or New Caledonia; or New Zealand and its stunning Fjordland National Park. Australia is also a popular departure point for long distance cruises to America, Africa or the Middle East. A cruise from Australia is not short of spectacular shore excursion opportunities – explore deserts, snorkel the spectacular Great Barrier Reef, discover remote islands and wander exciting cities. There is something for everyone aboard an Australian cruise! With great weather, bustling cities, quaint beaches and epic scenery, you really don't have to sail across the world to find the perfect cruise destination, Australia offers it all! Whether looking to enjoy a city escape to cities such as Sydney, Perth or Melbourne, or looking for a coastal escape by the beach, we've got you covered! There are a range of cruises ranging from short two night breaks to seventeen night breaks, the options really are endless. Cruise with P&O Australia, Carnival or Princess to be taken on a journey of Australia like never before! Step on board the Voyager of the Seas as she takes you from Sydney to Queensland and home again. Go on a tour of the beautiful glistening emerald ocean around Airlie Beach and see the Great Barrier Reef up close, some of the most popular spots include Bicentennial Walkway and Airlie Beach Lagoon - the perfect place to sit by the sea with a drink in your hand. Enjoy an exquisite dining experience at the signature steakhouse 'Chops Grille' with Royal Caribbean. This 6 day cruise with P&O is perfect for those who want to pack heaps into a few days. See all that Tasmania has to offer all on-board the Pacific Jewel as you visit 3 ports around the island. Visit the Royal Tasmanian Botanical Gardens, take a hike up Mount Wellington and check out the stunning views of Hobart city. Plan a day out and evening in Melbourne - Australia's most cultured city. Take a short 6 night cruise on board Cunard's popular Queen Elizabeth. You will leave from Melbourne, cruise to the beautiful Tasmania and finish up in Adelaide, having had an additional two sea days giving you the chance to explore the ship. This is perfect for anyone looking for a budget-friendly, brief getaway with minimal fuss. With a wide range of dining options on board the Queen Elizabeth, you quite literally have the option to try a new restaurant every night! 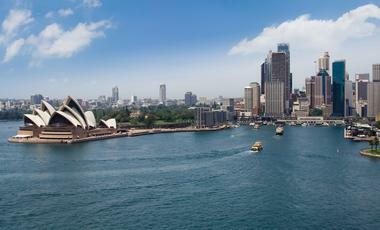 Sydney is the capital of the state of New South Wales and is the largest city in Australia. The city is one of the most important tourism destinations in Australia, with iconic sights such as Sydney harbour and Opera House. Sydney is also home to the world-famous Bondi beach. Sydney also has an extensive arts and cultural scene with numerous galleries such as the Art Gallery of NSW offering impressive artistic displays. Sydney also has an extensive public transport system, ensuring that accessibilty will not be an issue for visitors to the city. Brisbane is the capital of the sunshine state, Queensland. Brisbane is surrounded by the Sunshine Coast and the Gold Coast. The perfect way to view this scenic city is from the Kangaroo Point cliffs, where you can expect a panoramic view of the skyline. Brisbane is also a gateway to many stunning locations like Moreton Island and Noosa. Brisbane is divided into a number of suburbs, each with it's own unique vibe. In this modern and vibrant city you are sure to find numerous ways to discover the city, from a stroll through the entertaining South Bank to a paddle down the Brisbane River, perfect for all visitors. 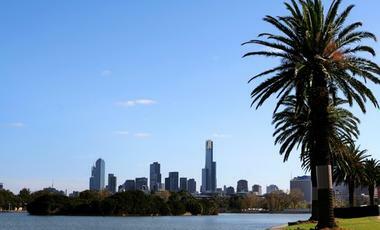 Melbourne is the second largest city in Australia with over 4.4 million people calling it home. The city is an eclectic mix of stlye, dining and sport, making it an ideal place to visit and soak in the culture. The City Circle Tram loop will take you around the city to attractions like the Royal Botanical Gardens and the Healesville sanctuary. Taking a stroll through Melbourne's cobbled laneways will lead you to an array of cafes, coffee shops and unique shopping boutiques, the perfect way to discover the laid-back city. Darwin is located on Australia's Northern coast and is an ideal location for outdoor exploring. The Kakadu National Park is very close to the city and is known for it's natural beauty and extraordinary animals. In the city, the mix of cultures culminates in a large number of vibrant outdoor festivals and markets such as the Mindl Beach Market at Sunset, where you can enjoy many delicious local dishes and crafts. Innovative museums and galleries are the perfect way to discover the region's history and indigenous cultures. 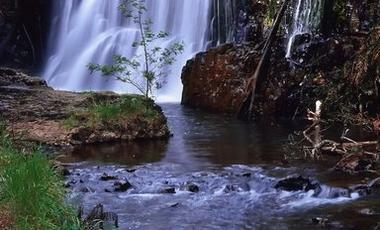 Hobart, the capital of Tasmania, is a small port city located at the foot of Mount Wellington. Hobart is the second oldest city in Australia, having been originally founded in 1804 as a penal colony. A tour of the oldest brewery in Australia, Cascade brewery is highly recommended. 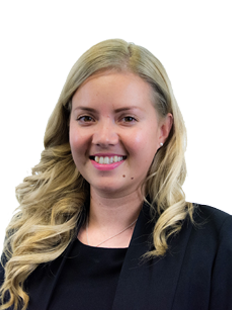 During the Summer season Hobart hosts some fantastic festivals and events from The Taste of Tasmania food festival, to the Yacht Race from Sydney to Hobart. These events attract a big audience and create a great atmosphere throughout the port city. Cairns is located in the north of Queensland, Australia. The city is known particularly for being in close proximity to the Great Barrier Reef, the longest coral reef in the world, also listed as a UNESCO World Heritage site. Daintree tropical forest which is the oldest of it's kind in the world is also only a short distance away. The city itself boasts a laid-back lifestyle with a buzzing social scene evident through the presence of numerous cafés, clubs and restaurants. There are also a number of fantastic tourism resorts, adding to the reputation of Cairns as an Australian tourism hotspot. Perth is the fourth most populous Australian city with a population of about 2.02 million people. The city is full of restaurants, cafes and offers a lively nightlife. The city is blessed with numerous sandy beaches, not far away is the Cottersloe beach, where you can not only swim, but also go snorkelling and diving. There is a distinctly laid-back vibe about the city, with the big-city attractions blending with informal surroundings. Perth Zoo, is just 5 minutes from the city centre and offers the opportunity to see Australian wildlife up-close at the Australian Walkabout exhibit. Visit Australia "whitest beach", Lucky Bay where it is not unusual to see napping Kangaroos! Burnie is a city with an approximate population of 20,000 which lies in North-West Tasmania. Burnie is known as being a "town of makers". A trip to the Makers' Workshop is highly recommended, here visitors can expect to find a number of studios where local craftspeople demonstrate their unique skills. There is also a gift shop on site where visitors have the opportunity to purchase products produced locally in Tasmania. Visitors to Burnie can also enjoy a number of outdoor spots such as the popular Burnie Park. Yorkeys Knob is a small beach community located in Queensland on the East coast of Australia. It lies just 20 km north of the city of Cairns. Yorkeys Knob is known as a great tourism destination, offering tourists sunshine, sandy beaches as well as a beautiful marina with scenic views. Half Moon Bay Golf Club offers one of the most impressive golf courses in North-Eastern Australia. Yorkeys Knob also acts as a great base for trips to the Great Barrier Reef and the attractions of Cairns, while also offering guests a peaceful setting. Kangaroo Island is located on Investigator Strait, off the coast of South Australia. It is Australia's third largest island and is divided into seven regions, comprising of four major towns. Kingscote is the biggest town on Kangaroo Island and is the main business centre of the island. The island has many caves, lagoons and sand dunes to explore. 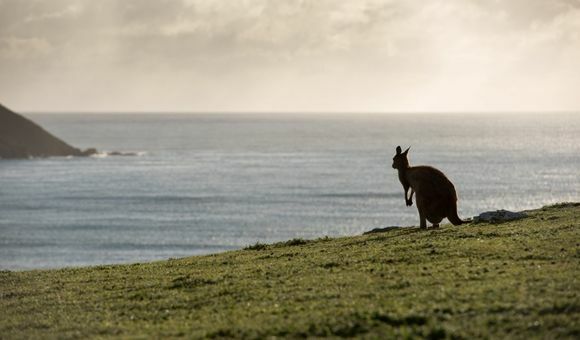 Visitors to Kangaroo Island can expect to find numerous national parks, as a third of the island are protected areas. Busselton is located in Western Australia on the South Western coast. The scenic shoreline of Busselton brings many tourists every year. It is home to the Busselton Jetty, built in 1841 and bconsidered to be the longest wooden structure in the world. It now offers tours and an underwater observatory, plenty of seaside cafes and restaurants for you to enjoy your meals al fresco by lapping water. Popular tourist destinations include the Old Courthouse, St. Mary's Church and many wineries and breweries. The Tasmanian Port Arthur is located South-East of the Tasman Peninsula. Port Arthur is connected to the mainland by a 400m long land bridge, known as 'Eaglehawk Neck'. The former convict settlement is now a World Heritage site, home to a museum which shows visitors what life was like for convicts in one of Australia's most infamous prisons in the 19th Century. Guided tours are available day or night, as well as cruises to the Isle of the Dead, a cemetary for prisoners. A visit to Port Arthur is sure to leave visitors with a host of new knowledge. Broome is located in the Kimberley region of Western Australia. In recent years Broome has become a popular Australian destination with Cable Beach offering numerous luxury holiday resorts. Visitors can enjoy camel rides along the beach, catch an outdoor movie and many more fun activities. Broome is often referred to as "the pearl" of the Kimberley region and there are many pearl farms located in the area which are available to the public to visit. Nestled in Oceania, Australia, along with the island of Tasmania and numerous smaller islands, holds the title as the world’s sixth-largest country and 12th largest economy. With diverse landscapes, sundrenched beaches, beautiful harbours, cosmopolitan cities and more, an Australian cruise inspires and excites. CruiseAway offers amazing luxury cruises to all the most sought-after destinations in Australia, and also offers customers the unique chance to explore more remote landscapes with virtually untouched landscapes and exotic wildlife. There’s a range of departure ports around the country, each offering a city full of life and opportunity so that you can begin your cruise right. You can cruise anywhere in the world with the vast selection of itineraries CruiseAway has on offer, no matter where you’re starting off. Experience the natural beauty of Sydney, the capital of New South Wales and Australia’s famous harbour city. Lose yourself in this bustling city and view its impressive architecture which dates back over 200 years. The perfect mixture of old and new, Sydney is truly unique in that the city is not characterised by any one architectural style. Visited every year by millions of people from all corners of the world, Sydney Opera House is one of the city’s most popular tourist destinations. This shell-shaped, multi-purpose venue houses a recording studio, eateries, bars, cafés and retail outlets. It also facilitates over 1,500 performances each year. For a terrific cultural experience, join the city in celebrating dynamic events which are held throughout the year, from the world class New Year’s Eve fireworks display to the colourful Mardi Gras! Meanwhile you can explore Sydney’s most famous coastal beaches which include Bondi, Palm Beach and Bronte. The superior Gold Coast is on Sydney’s doorstep just waiting to be explored. One of the best options from Sydney is to take one of the number cruises to New Zealand, making sure to be stop by Milford Sound. With its close proximity to Australia, and a breath-taking landscape, now is the time to cruise NZ. Don’t wait for your cruise to begin, begin your adventure on land by choosing Sydney as your starting point. For a wide range of eclectic bars, an ever-evolving retail industry and cultural diversity look no further than Melbourne, Australia’s “melting pot” city. Melbourne offers holiday-makers the chance of a unique Australian sightseeing experience. The discovery of gold in the 19th Century and a subsequent gold rush all contributed to Melbourne’s thriving economy. The city’s past and present merge together in a perfect harmony, with old Victorian buildings alongside towering sky scrapers. Delve into Melbourne’s engaging past and sample the delights the city’s varied museums. The Old Melbourne Gaol is one of Melbourne’s oldest surviving buildings and a sight where some of the Australia’s most infamous criminals were held. Melbourne hosts some of Australian’s most iconic events, such as the Australian Open, Melbourne Cup, Fashion Week and the Melbourne International Comedy Festival. There’s never a dull moment in this exciting city. Cruising from Melbourne will start your holiday with a bang! With friendly locals and a modern vibrant atmosphere, Brisbane’s a city full of life. Under the Queensland sun you can enjoy the beautiful open spaces that Brisbane has to offer. Brisbane offers something for everyone, whether its walking down the South Bank while enjoying a coffee from one of the excellent cafes or indulging in some of the best shopping in Australia. To cool off you might find yourself on Australia’s only beach located in the middle of a city. Streets Beach is the perfect place to relax and have a drink or go for a swim in the clear blue waters. From Brisbane you can choose between a local cruise around Australia and New Zealand, or adventure to Asia and discover the Philippines, China and Japan. Fremantle is the port city 30 minutes from Perth, the capital of Western Australia. With its mix of alternative and arty types, Fremantle has a feeling like no other. Whether you’re there a few days before you depart or if it’s a short stop over on your cruise, you will not be disappointed. If you’re after a true Fremantle dining and entertainment experience, then look no further than ‘Cappuccino Strip’. This consists of Wray Avenue and South Terrace, where you’ll find lively cafes and some of the best amber ales in Australia from the micro-breweries in the area. Take the short journey to Perth to discover a city with an interesting blend of modern art and infrastructure, mixed with the natural beauty of one of the world’s biggest city parks. Without setting foot outside of Perth you can learn about Aboriginal history, explore bushland trails and wander through urban villages. CruiseAway offers other Australian ports like Cairns, Adelaide and Darwin. All these cities are incredible starting points before you set sail on a cruise holiday you won’t forget. With best price guarantee and a range of itineraries to choose from, you’ll find the best deal on your dream cruise with CruiseAway. Our cruise experts are waiting to advise you on how you can make your trip special, so why not book now!